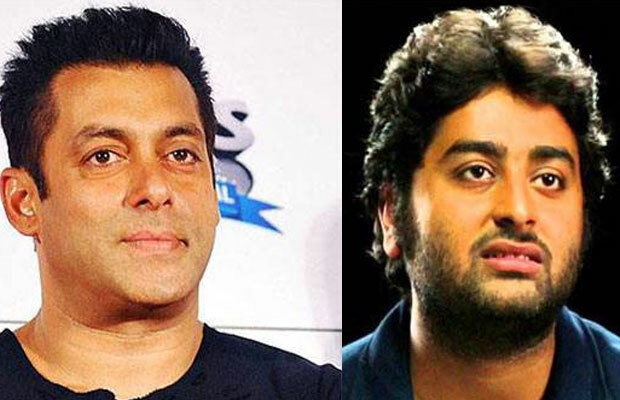 Amidst All Rumours, Arijit Singh To Sing For Salman Khan Soon? Home BOLLYWOOD Amidst All Rumours, Arijit Singh To Sing For Salman Khan Soon? The Arijit Singh and Salman Khan controversy have taken yet another turn. It seems like the issues won’t end so soon. Recently, there was some news making rounds that Arijit will never lend his voice for Sallu. Well, looks like the singer has no such plans. A leading news portal got in touch with the Kabira singer to confirm the news of never working for Salman. Arijit denied all the rumours and quoted that the news is absolutely false. He questioned who said this? The singer also revealed that he is very soon singing a scratch for the Sultan actor. Well, finally Arijit clears all the rumours of him never singing for Bhai. It all started a few years ago when Arijit Singh’s silly comment had upset Salman. Salman was hosting the award function and found the singer’s words rude. Well, Arijit had to face Salman’s flak when he dropped the singer’s version of Jag Ghoomeya from his last release Sultan. Arijit then took to his Facebook and had written a long apology post for the actor. Unfortunately,things turned ugly for Arijit as the song was then sung by Rahet Fateh Ali Khan. In his recent interviews, the Tum Hi Ho singer stated that he won’t say sorry to Salman anymore. Since then, the rumours of him never singing for Sallu made headlines. Well, we hope things between Salman and Arijit cool down soon. Next articleKriti Sanon Celebrates Raksha Bandhan In A Very Unique Way With Sister Nupur!